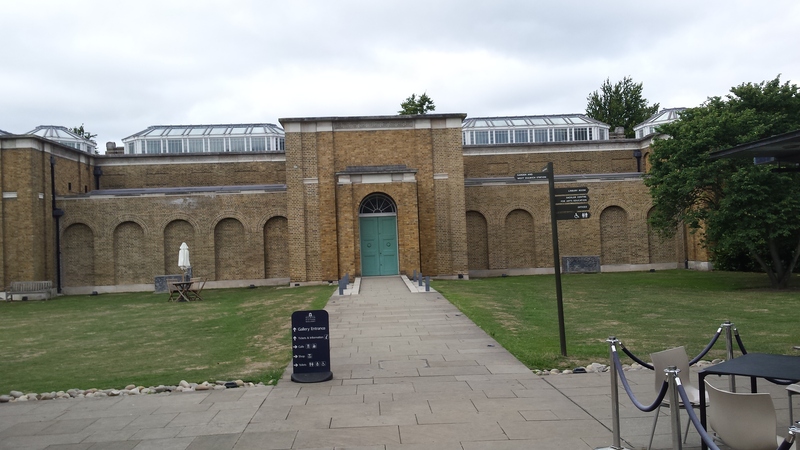 Tucked just behind Dulwich College and opposite Dulwich Park, Dulwich Picture Gallery is well worth a visit, for its exhibitions or just to view its standing collection. 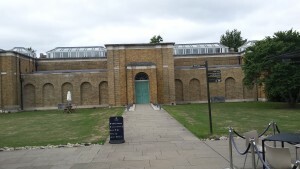 It is Britain’s first purpose-built art gallery. 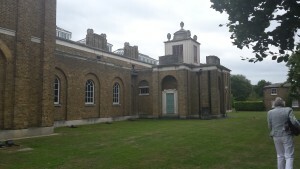 Originally part of Dulwich College it became an independent trust in 1994, although it had occupied a separate building, designed by Sir John Soane, since 1814. The College was founded by Sir Edward Alleyn, a favourite actor of Queen Elizabeth I, who left to it his collection of art in 1626. This was augmented by the bequest of another actor, William Cartwright, sixty years later. It was in the early nineteenth century that the collection took a more recognizable shape, however, with the bequest of Sir Francis Bourgeois RA of artworks originally gathered, by him and his partner, Noel Desenfans, at the behest of the King of Poland. Unfortunately, Poland was partitioned and the King abdicated so the, by now, copious, collection was left homeless ( the Tsar and the British government refusing it ). Desenfans widow, Margaret, donated the whole of it to Dulwich College and commissioned Sir John Soane ( a friend of Bourgeois ) to design a building to house it. Two later bequests, that of William Linley and Charles Fairfax Murray, added many paintings by British artists, including Gainsborough. It was a stipulation in Bourgeois’ will that the collection be made ‘available for the inspection of the public’. Bourgeois, Desenfans and Margaret Desenfans are all commemorated in the Mausoleum within the Gallery. There is no tube in Dulwich, though it is possible to get here by overground train ( to Dulwich North station and walk south for ten minutes through the picturesque Dulwich Village, or to West Dulwich station then through Belair Park and along Gallery Road ). By tube and bus, take the Victoria line to Brixton and then the P4 bus ( direction Honor Oak ), which drops you in Dulwich Village. 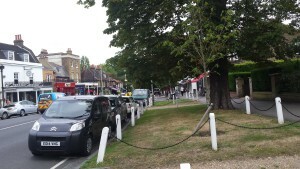 There is car parking in Dulwich Park. The standing collection includes works by Rembrandt, Gainsborough, Poussin, Watteau, Canaletto, Rubens, Veronese and Murillo. The gardens allow an excellent view of Soane’s building, especially the pendentive roof of the Mausoleum which directly influenced Sir Giles Gilbert Scott and his design of the classic red telephone box. One stands in the grounds. 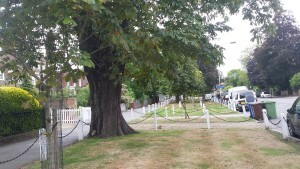 This entry was posted in Art, Culture Vulture and tagged London, Worth a visit by juliej. Bookmark the permalink.